Adoption & Mast Cells…What’s the connection ? Mast Cells…It’s hard to believe those tiny little cells can cause so much damage, but they do. I just returned from a conference where specialists of this rare disease update us on the latest developments in research and treatment. The wonderful part of this, is that we get to be with others who suffer with this life changing disease. To be surrounded with the love and validation/support of those who “get it” reaches deep inside and warms the heart.. The information gained is invaluable but the being with your “tribe” is priceless and treasured. On the outside, most of us don’t look ill…making this one of those “invisible illness’s” that because people don’t see what’s going on inside, they don’t understand how sick we really are. They don’t see the excruciating pain deep inside our bones and joints, the nausea and vomiting along with the BigD, as they call it. They don’t see the overwhelming fatigue that feels like we are dragging a thousand pound ball chained to our bodies. They don’t see the flushed face and if they do, they say how good our colour is. They don’t see the chills and faintness, the swollen eyes and lips or the spots hidden so well. They don’t feel the urgency and fear when we know its an epi pen moment and we are faced with the increasing symptoms alone and wondering if this time will be worse or if it will be enough. They don’t see, they don’t listen, they don’t understand. How can they? To be enveloped in the love of your “tribe” is amazing. The unspoken understanding for quiet time, fun time, support time, validation time is just there. You needn’t even ask, it’s just there, as if there was an invisible connection between us. Tears and laughter flow together and it’s all quite acceptable and acknowledged as part of the journey. A simple smile or a few words of reassurance are given freely, without question because they just know. I was overwhelmed with the astounding compassion between souls who are all ill. You can feel the energy of understanding when you walk into the room a little bit slower with red rimmed eyes and swollen lips. Such strength and endurance is astounding. We fall and get up over and over with an outstretched hand there to assist, even if it is from afar. You learn to appreciate the good moments, The times you can laugh. The times you can walk a block or simply get off the couch. The times when you can eat and not feel sick. Everyday things that healthy people don’t have to consider. The list is endless. I can list the exact moments in time, the experiences, the stressors and traumas that led to my mast cells being bumped up a notch until they went over the edge into the mastocytosis abyss. Most of us can, and it’s devastating to look back and know things could have been better, different perhaps, had we had the knowledge of what was going on. Still, we smile for now, for today, another day. Learning to identify specific triggers is crucial to mastering the act of decreasing degranulation. Lifestyle changes are necessary. Jobs, friends, family may be lost, The specific foods, the exercise and rest, learning balance and caring for oneself play a huge role of living with chronic illness. There is a grieving period when you realize your life has changed forever. Just as in death and dying, you go thru the five stages of transition. Denial, Anger, Bargaining, Depression and finally Acceptance. Meditation is a daily practice for me. Being mindful of each moment and how you think about it. The Power of Positive Thinking is probably the most important piece of living well with chronic illness. If we begin to look at alternatives to western medicine we discover how the body is innately equipped to play a role in the healing process. How love and community may be more important than any drug. We need our “tribes” to help nurture and heal us. We also need to participate with our own self talk and beliefs and not get sucked in to the “sick role” that many want to stay in because it’s more comfortable. There is no healing there…only suffering and sadness. So, the title reads Adoption and Mast Cells.. This past week as I was recouping from my travel to the conference I was unable to sit at the computer and write the words I wanted to say. I began to see the similarities between my journey with adoption and reunion and my journey with mast cell disease. I could go back over the words above and take out mast cell and rewrite adoption and it would still be applicable.
. There is a timeline for both. It took me 50 yrs to find my biological family and just about as long to put the pieces of my medical puzzle together after finding out about my genetic history..50 yrs of not knowing, not having the pieces to heal both the physical, and the deep adoption loss of the primal wound. Just as my overactive mast cells have affected every aspect of my health so has adoption. Mind, body and spirit. Combined, they were a time bomb ready to be set off during reunion from stress, grief and loss. 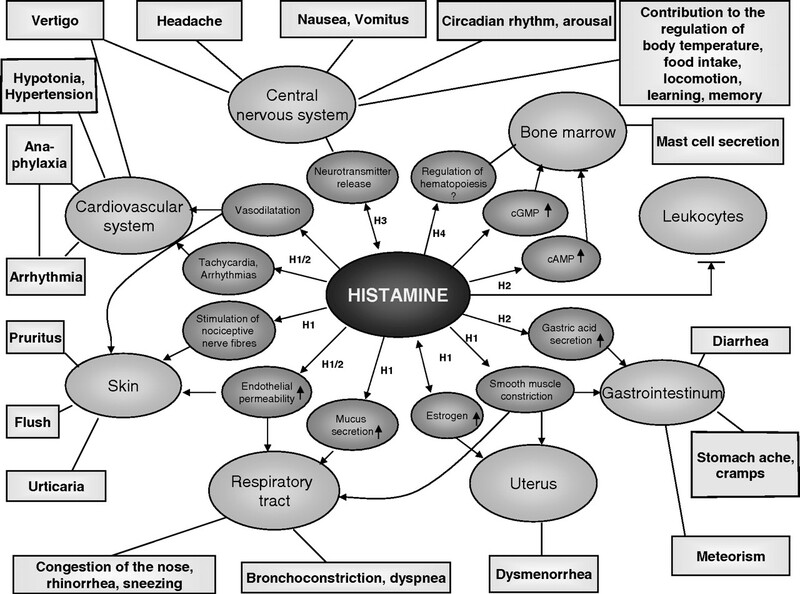 Look at how many systems are affected by mast cells and know that my being given away affected just as many parts of me… unknown to me at the time but felt just the same. To look at me you wouldn’t know I was adopted, nor that I have a disease that is destroying my organs. It’s all invisible, this pain, this illness, this trauma and yet I have been profoundly changed, altered, broken and torn apart again and again by both. I stand tall and fight my battles alone in a world that doesn’t see either. How could they? The pain is invisible to most, The loss and grieving of a life changed, a life not experienced, the 5 stages the same. I experienced both at the same time and it dropped me to the floor where I lay in fetal position for all that was lost, all that would never be. Looking back, I see my whole life has been dictated by the search for answers, both to my health issues and my search for my tribe. For where I belonged. For where I would get healthy and know love. In my first memoir Finding Heart Horse, soon to be birthed, lies the story of survival and search. Little did I know at the time how important that search would become. 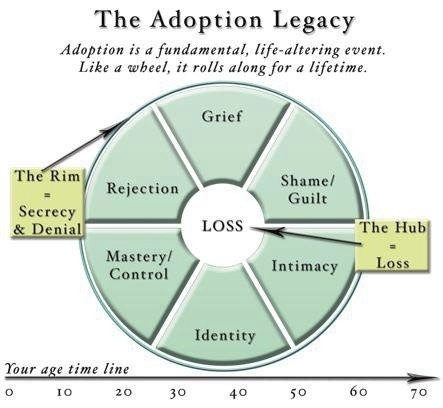 As with my mast cell history, so can I identify the specific moments where my adoption altered my life, filled it with heartache and pain, leaving me living in the duality of the adoptee realm of identities. On the outside I was a well respected RN, working in a high stress job, thinking I was doing the best for my daughter. I wanted her to have the life I never had, the home, the friends, the stability, the love. No one could see on the inside there was the unknown. The trauma filled ghost. The invisible person who had no identity, The tortured soul who experienced trauma after trauma and yet kept going. It was the same with the slowly building mast cell disease. Being diagnosed with many box labels and knowing that somewhere out in the world I would find the missing pieces but until then, I just had to keep going. That deep knowing that there are pieces missing to the puzzle. The fear of not being able to find them quick enough. The devastation when I did find them. Medical history for adoptees is so important and yet, who thinks of it. No one except the ones looking to find themselves. Mast cell disease has it’s own tribe. Adoption has its own tribe as well. family was supposed to be my tribe, mine. Where I belonged. Where i felt loved, wanted and safe. There are no stronger people than the ones I have met through mastocytosis and adoption. To go through what we have been handed in this life and emerge with a smile and strength and an over abundance of compassion and love is mind boggling. To others, these qualities are invisible. In the tribes, they are powerful beyond imagination. The journey to health is not an easy one. I am not defined by my illness nor my story. I stand tall as a survivor and thriver despite the odds. I have walked through the fears and pain emerging on the other side wiser, stronger and healthier and will continue to do so. I am not invisible to everyone. Only to those those that don’t want to see. ← It’s THAT DAY again…. You hit it on the head here! Thank you for being my voice too… from a fellow tribesman in many ways! I wish every adopted child came with a lifetime certificate for therapy…not only did I get screwed in those 1st couple of years with all the foster homes I was put into…but as an adult living on subsistence income (gov disability) I cannot afford to pay for even sliding scale therapy . I hear you…it’s like, what comes first…the chicken or the egg. Never ending..